1. This Circular applies to organizations and individuals in charge of making dossiers of requirements on appointment of domestic contractors for construction and installation bid packages under projects regulated by this Circular. In case of appointing foreign contractors to perform construction and installation packages, this model dossier may be used with modifications so as to suit the reality. 1. Construction and installation bid packages specified at Point b, Clause 1, Article 20 of the Bidding Law. Clause 4. Article 2 of the Law Amending and Supplementing a Number of Articles of Laws Concerning Capital Construction Investment, Article 101 of the Construction Law, Point a, Clause 1, and Clause 2, Article 40 of the Government's Decree No. 85/2009/ND-CP of October 15, 2009, guiding the implementation of the Bidding Law and the selection of construction contractors under the Construction Law. Construction and installation packages specified at Point a. Clause 1. 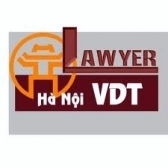 Article 20 of the Bidding Law and construction and installation packages of a price of less than VND 500 million are not regulated by this Circular. 2. For construction and installation packages under ODA-funded projects, if donors agree, the model dossier of requirements on contractor appointment issued together with this Circular may be used with modifications in accordance with provisions in treaties to which the Socialist Republic of Vietnam is a contracting party or international agreements which have been signed by competent agencies or organizations of the Socialist Republic of Vietnam. When applying this model dossier, organizations and individuals that make dossiers of requirements on contractor appointment shall base themselves on the size and characteristics of the bid package to set requirements on the principles of transparency and economic efficiency. In this model dossier, contents in italic are for instructive and illustrative purposes which may be concretized by makers of dossiers of requirements tor contractor appointment based on the size and characteristics of each bid package. If it is necessary to make changes or additions to contents printed in regular font, makers of dossiers of requirements on contractor appointment shall give written explanations and ensure compliance with the bidding law; investors shall take responsibility before law for those changes and additions. 1. This Circular takes effect on March 25, 2010. 2. Ministries, ministerial-level agencies, government-attached agencies, central agencies, People's Committees at all levels and concerned organizations and individuals shall implement this Circular. Ministries, ministerial-level agencies, government-attached agencies, other central agencies and provincial-level People's Committees shall, within the scope of their management, guide in detail some contents of this Circular (when necessary) while ensuring compliance with this Circular.